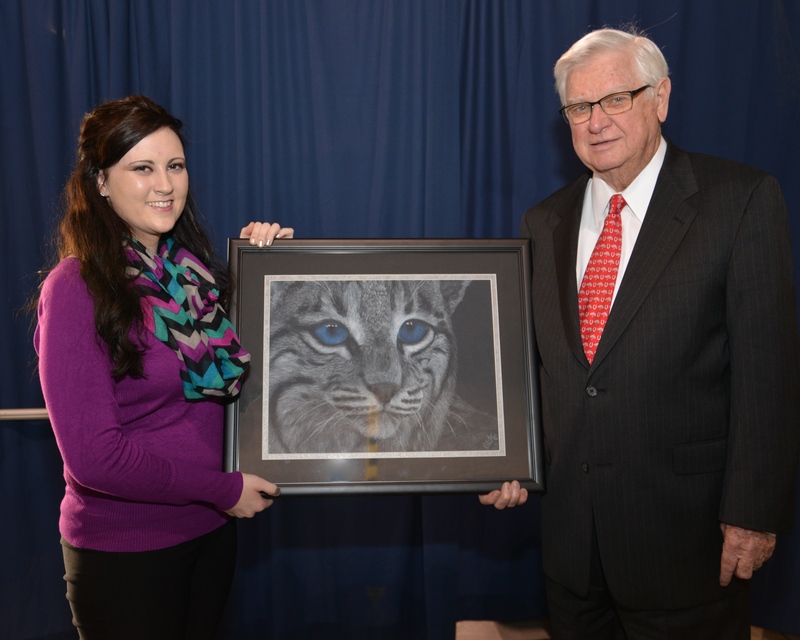 U.S. Rep. Harold “Hal” Rogers (KY-05) invites high school students in southern and eastern Kentucky to participate in the 2016 Congressional Art Competition. Each year, the U.S. House of Representatives holds an annual art competition entitled "An Artistic Discovery" for high school students to showcase their talent and represent their congressional districts by displaying their artwork inside the U.S. Capitol building for one year, where more than three million people visit annually. Thousands of high school students participate all across the country and one winner is chosen from each congressional district. “Every year, I look forward to seeing the amazing talent of our students from southern and eastern Kentucky,” said Rogers. “This competition allows us to highlight an artist from each Congressional district in the Capitol building, and I take great pride in the artwork that represents the Fifth District of Kentucky each year." The top three district winners will be chosen from the Somerset, Prestonsburg and Hazard district offices. The winner will receive two free airline tickets to Washington, DC for an annual awards ceremony and to see their artwork on display in the Capitol building. The winner may also be eligible to receive an artistic college scholarship. Last year, Allissa Moe submitted the winning artwork from Betsy Layne High School in Floyd County, entitled "Eye on the Prize." Allissa utilized white and blue colored pencils on black paper to draw a picture of a blue-eyed bobcat. Her art teacher was Shannon Shepherd and Allissa is the daughter of Thomas and Dorian Moe of Harold. For competition guidelines, visit http://halrogers.house.gov. Artwork must be two-dimensional. Unframed artwork will be accepted, however, the winning artwork must be framed by the artist before being sent to Washington, DC for display. The framed artwork cannot exceed 28” x 28” x 4” or 15 pounds. All artwork is due at Congressional District Offices by Monday, May 2, 2016. For more information, contact Chelsea Whalen in Rogers' Washington, DC office at 202-225-4601 or chelsea.whalen@mail.house.gov. Remaining artwork should be picked up no later than June 1, 2016. Click here to download the rules for submitting artwork.